© 2008 Markwaters | Dreamstime.com. Dharamsala, Nov 26 (IANS) — In any case, the Tibetan spiritual leader is bound to discuss his retirement plan with the Tibetan parliament-in-exile which is based here, they say. First, the Tibetan parliament does not meet before March 2011. And if it approves the Dalai Lama’s exit, that process will take another six months or so. The Nobel peace laureate’s recent retirement statement has left Tibetans worried. The reason is obvious. It was half a century ago that the Dalai Lama, whom China brands a separatist, fled Tibet after an anti-Communist revolt in 1959 and established his government-in-exile in this Indian town. 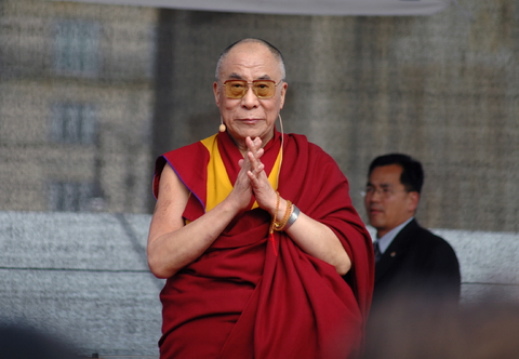 The Dalai Lama has indicated on a number of occasions that he is looking for retirement. He had already transferred most of his political powers to the prime minister-in-exile, Samdhong Rinpoche, whom he has addressed as his “boss”. “I made it very clear as early as (19)69, if the majority of Tibetan people feel that now the Dalai Lama institution is no more needed, we can finish it,” he said. Incumbent Rinpoche, who became the first directly elected prime minister in September 2001, can’t re-contest as the Tibetan charter bars any individual from holding the office for more than two terms. Sangey, asked by the voters what he sees as the key responsibilities of the next prime minister, has said: “First, we have to define whether the Kalon Tripa (prime minister) is a leader or an administrator. If Kalon Tripa is simply an administrator, then experience, both institutional and personal, is a must.